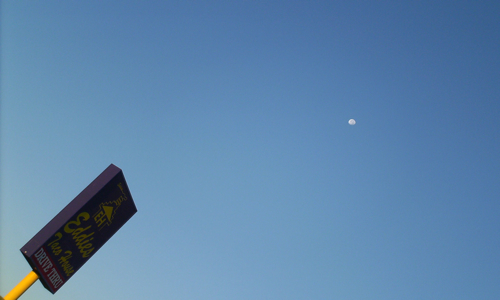 Afternoon Moon over Eddie’s Taco House. Nice take. Most people would not even notice the slight lunar glow. So being a gentleman, Eddie lets the sign point our eyes upward to see the attraction…. Fabulous afternoon moon love the sign that shows the way. I captured a daytime moon last week. They are much easier to photograph than at night. I love it.